I’ve been watching the latest uproar over the Susan G. Komen for the Cure and Planned Parenthood flap, and I’ve been wondering how long it would be until the Komen group back-tracked and started to retrace its steps back to the left. You see, I’ve known about this group for many years, and once had some involvement with it when a dear friend of mine, a fellow college student, was stricken with breast cancer and all that comes after. She was the wife of a soldier, and the mother of three children, and in her mid-thirties, she was diagnosed with stage four breast cancer. She underwent surgery and chemotherapy, and went through all the trauma in her life and with her family associated with the disease, but ultimately, five years after she had first screened clear of cancer following her treatment, the cancer was back with a vengeance and in the space of two years, she was gone. It was in this context that I first became aware of the Komen foundation, and it was not long after that my friend became aware of their ties to Planned Parenthood. Like many Christians, she was appalled, and she decided to look for other ways to help the cause to which she was now tied. It’s a dilemma many Christians have faced, as they wish to contribute to the search for a cure to breast cancer, but like so many good causes, there are often back-side politics not viewable by the public. This week, when the Komen outfit announced that it would no longer give money to Planned Parenthood, they said they were doing so because that organization is under investigation, but I knew when they said that they would soon backtrack as the abortion profiteers at Planned Parenthood wouldn’t be able to let it go easily. It’s true, and I think it’s a good question that Komen for the Cure should be asked. After all, Planned Parenthood is not specialist in breast cancer, whatever they may claim, and it’s outlandish and foolish for Komen to maintain this relationship. When they first announced their withdrawal of financial grants to Planned Parenthood, their donations soared. This should give you some idea of how many people have withheld their support due to the politicization of the Foundation by virtue of the inclusion of funds to Planned Parenthood. Too many people have sincere questions of conscience with the divisive issue that is abortion to simply ignore the funding of Planned Parenthood. If Komen was institutionally smart, they’d run from Planned Parenthood, but of course, they will not, and now they are clearly going back on the issue. They point to three clinics at which mammograms are done, but as the story at BigJournalism.com demonstrates, there are no mammography facilities at those clinics, and they simply refer women on to other facilities. 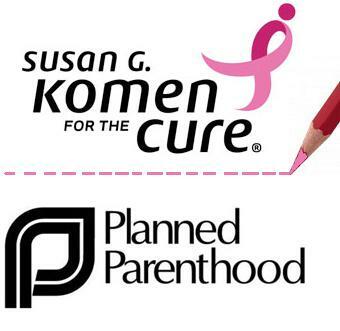 Surely, Komen could do this without the abortion provider as a middle-man. This entire episode will wind up causing more trouble for Komen, and it’s sad, because they do some tremendous work, but they should take greater care not to cause some to abstain from involvement. This entire episode does more to ultimately hurt their cause than to help it, and knowing the suffering so many women face as a result of this horrendous disease, I can’t imagine why they would continue to do anything that would hinder their pursuit of a cure, but now it seems rather than serving the interests of their noble cause, they are instead buckling to the radical Planned Parenthood. People of faith who care deeply about the search for a cure to breast cancer are right to wonder about their organizational priorities. On Friday, I brought you the story of Herman Cain’s confusing stance on abortion. Some of you disagreed with my position on this, citing the notion of federalism as the “out.” I’m sorry to say that I can’t help but disagree with anybody who tries to evade this issue by pointing to federalism as their escape mechanism. Federalism is certainly an important principle in our constitutional republic that has been denigrated and dismissed too easily by statists, but in this instance, it’s a concept out of place by virtue of the question at hand. By the application of federalism that some of you have advanced, I’m confused as to how you see any federal role anywhere in safeguarding any liberty of any American at any time under any circumstances. Frankly, it’s an absurd claim, and it’s time we debunk it right here, and right now. 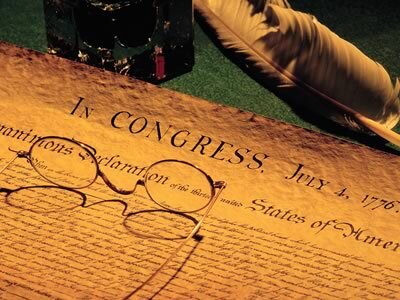 Our founding document, the Declaration of Independence, sets forth the right to life, liberty, and the pursuit of happiness of its citizens as the great pursuit and ultimate object of our government. Our framers were so concerned that they decided to enshrine certain rights within the Constitution in specific language in what was ultimately adopted as our Bill of Rights, the first ten amendments to our federal constitution. I would like it very much if one of the advocates of federalism would explain to me how it is that our federal government protects the freedom of speech, the press, religion, the right to keep and bear arms, and the right to individual due process if the rights in question are subjected to any level of government outside the federal sphere. Explain to me why it is that we have need of a federal murder statute, if murder is a crime to be handled by the states. Explain why we have any protections of any sort, including voters’ rights, that supersede local or state laws in many, many instances. The argument of federalism really has no place in this argument if you believe there is a right to life, and that life begins at conception. If there is a right to life, that life gets all the same protections of law from the federal all the way down to the individual, otherwise, why bother with the concept of rights at the federal level at all? Do not suggest to me that you do not want rights enforced at the local level of government by federal observance of these fundamental rights, else how do you support the rulings of the court that have held that the gun laws of Chicago are too restrictive of the right to keep and bear arms, and are a de facto prohibition. In this case, most of you cry out for the protection of your rights by the federal establishment. 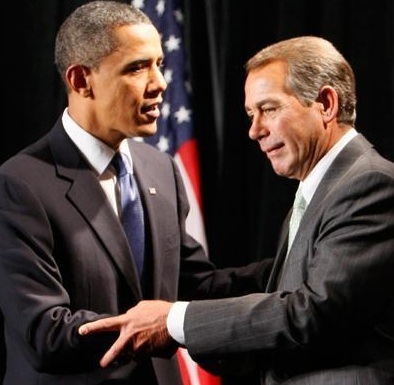 How do you now suggest that federal authority has no effective reach, in the case of abortion? This is a preposterous dichotomy that does not withstand even momentary consideration. There were a few who rightly suggested that this is about when “person-hood” begins, and this is the more effective argument. If one becomes a “person” under the law only at birth, then no form of abortion can be restricted on any grounds. To effect this discontinuity, however, you would have to define the legal standard of “person-hood” as beginning at conception. My point to you is that whether you agree with abortion or not, it’s perfectly useless for the debate to focus on any other object but this one. If abortion is to be illegal, it must be specified that rights commence not at birth, but at conception. To obfuscate the matter by putting it off to an issue of federalism has already failed miserably: How many state laws restricting abortion have been overturned by the federal judiciary on the basis that a woman’s right to abort falls under the federal protection of some elusive and illusory right to privacy not mentioned in the constitution? Once more, if the laws of nature are the point of reference, what does nature tell us about when life commences? A human being becomes an individual at conception, with his own unique genetic code, and from that moment forth, it’s dictated by nature. In this single line is the sole legitimate purpose of our federal government, and indeed any government. Those of you who would suppose yourselves conservative or libertarian ought to know this well. To then argue that the abortion debate can be dispensed with by simply passing it off to a lower level of government under the aegis of federalism is to ignore what is the entire purpose of any government, and I simply won’t hear of it. Not on this site.